Can You Sue a Landlord for Black Mold? Every landlord should take necessary precautions to prevent the growth of black mold. This substance can pose serious health and safety risks to tenants, as well as lead to legal implications for the property and thousands of dollars in cleanup. However, some landlords fail to remedy the situation, causing serious illness and injury to tenants. If you find black mold in your rental property, you should take immediate action to prevent harm to yourself and to your renters. Mold is one of the top environmental hazards that can occur in a residence. Mold grows in warm, damp spaces, thriving especially in attics, basements, and other areas with humidity and ventilation issues. Spills, plumbing issues, insulation damage, and many other factors can cause mold growth. Mold poses several risks to landlords and tenants alike. Mold can cause serious health issues, including respiratory damage, allergic reactions, internal bleeding, nausea, vomiting, and chronic fatigue. Prolonged mold damage can lead to thousands of dollars in repair and cleanup bills. If your tenants become ill due to a mold problem you knew about, you could face a personal injury lawsuit or costly insurance claim. Your property reputation can decrease if potential tenants find out there is mold in your building. Your tenants can move out if they find mold in the building, causing you to lose significant revenue streams. Black mold is a significant health and safety risk to your rental property. It is in your best interest to eradicate the problem as soon as you are aware of it. Under California law, tenants have two legal self-help strategies to protect them when a mold outbreak occurs in their home. Your tenants have the right to repair the mold damage themselves and deduct the cost of the repairs from their rent. Your tenants have the right to stop paying rent under the claim that the mold makes the property uninhabitable. California landlords must honor the “implied warranty of habitability” doctrine, which requires you to provide livable conditions in your property. Denying these rights can result in a landlord-tenant lawsuit. Make sure to honor your tenants’ wishes if they want to pursue these paths. 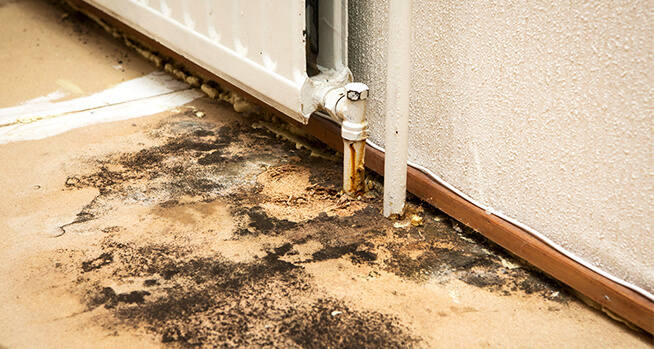 If you encountered black mold and your landlord is not willing to comply, you should contact a local injury lawyer who can help you find the best solution to your problem. No federal law exists that discusses a landlord’s responsibilities in the event of mold damage. California does not have a law that specifically addresses this issue either. However, municipalities may have specific laws pertaining to mold and landlord liability. For example, San Francisco defines mold as a “public health nuisance,” allowing tenants to sue landlords over failure to remove. In addition, residents who become ill or injured due to the mold could file a personal injury lawsuit. They will attempt to recover damages from you and your insurance company to compensate for medical bills, personal property damage, disability, and more. If a jury finds that you ignored a mold problem, the court will find you negligent. Under California law, you are required to disclose any known hazardous conditions to current and potential tenants, including mold. If you have mold in your property, you will have to provide a written disclosure prior to the rental agreement to inform tenants of the mold problem. This could significantly increase the number of empty units in your property. As soon as you are aware of a mold problem, time is of the essence. Take the following actions for a swift, effective response. Inform your tenant that you will contact a clean-up service immediately. Ask to see the mold growth and take pictures of the area. Contact a professional mold removal service to clean up the area. Identify what led to the mold growth and take preventative measures to avoid more growth in the future. The mold removal professionals can advise you in this area. With quick action and professional help, you can quickly remedy a mold problem and keep your tenants and property safe, happy, and healthy.